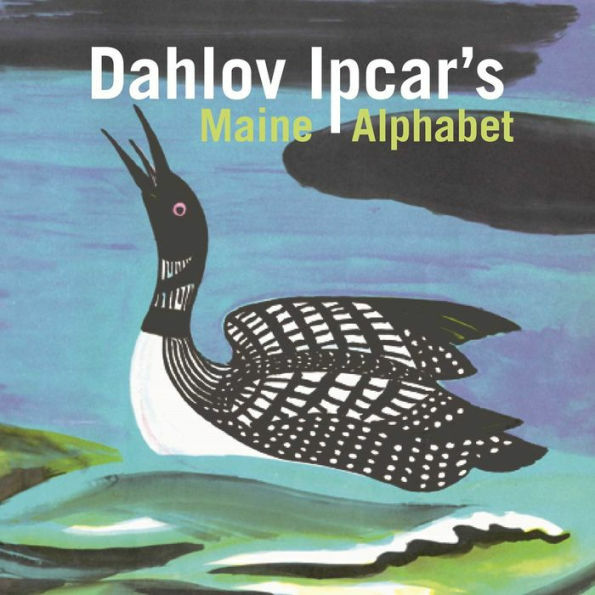 The Maine wildlife and coastal scenes were near and dear to Maine artist Dahlov Ipcar’s heart. This book serves as a kind of love letter to her home state where she lived and worked for almost seventy-five years, where, as she writes, A is for animals, wild and free, and W is for woodlands of wonder for you and for me. Maine artist Dahlov Ipcar wrote and illustrated more than thirty children's books from her farm on Georgetown Island. When she wrote, "W is for woodlands of wonder for you and for me,” she might have been asking us to take our children outdoors (no matter where we live) and open our eyes and ears to nature. While your Maine may not look like Ipcar’s Maine, she gives us a look both into the woods and into Maine’s past. We did not give you an ABC book so your infant could start learning his ABCs. Letter recognition will come to him in Kindergarten or before. But every introduction to letters and the sounds they represent lays the groundwork for ABCs and later reading. Keep reading aloud to your baby, and like Ipcar’s woods, your child will be filled with wonder.